Search and find large format wine bottles. We are proud to have the first on-line directory for large format wines on the web,established 01/11/2010. You can search for wines and producers from all over the world and access the information quick and easily. If you are wine-producer you may publish your wines for free. 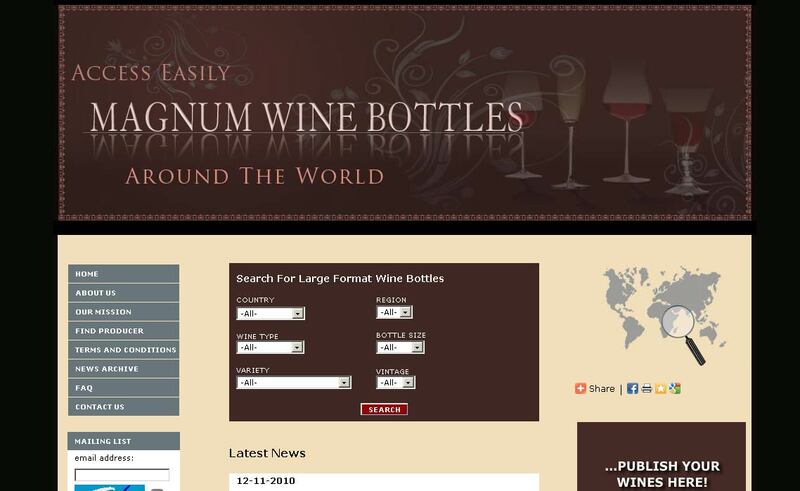 Visit www.magnumwinebottles.com and see for your self.